Gold, silver, platinum, and palladium bullion meeting certain IRS requirements may be added to a Gold IRA/Precious Metals IRA. The following are some popular choices. 1 Coins, including the American Eagle, that have undergone “certification” (also known as “slabbed” coins) are also acceptable in IRAs. 2 Bars and rounds must be produced by manufacturers accredited by Nymex/Comex, LME, LBMA, NYSE-Liffe/CBOT, and ISO-9000 or a national mint. This list is not comprehensive and is subject to change by the IRS. Contact us if you are interested in a particular product that is not on the above list. 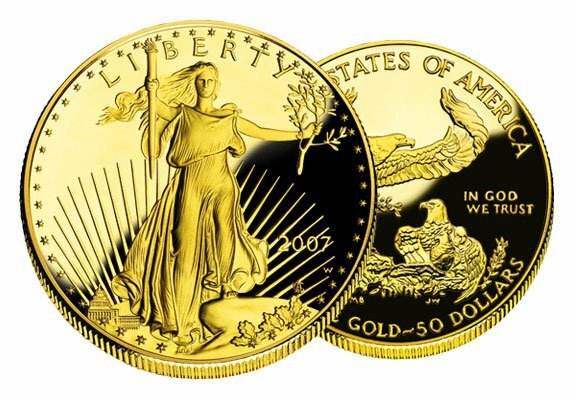 The American Gold Eagle is an official bullion coin released by the United States Mint in 1986. It is required by law to contain gold mined only within the United States. Its recognition, popularity, and liquidity make it one of the most desired gold coins in the world. Bullion coins are bought and sold with much lower premiums than proof coins, and they move in tandem with gold and silver spot prices. 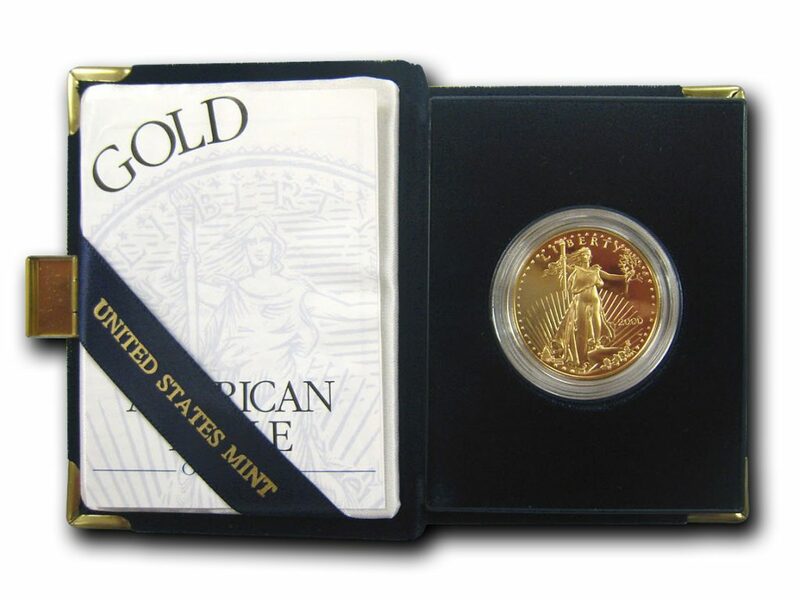 The Proof Gold American Eagle is a limited supply, collector version of the American Gold Eagle. Proof coins undergo a specialized minting process that produces sharp detail and a mirror-like finish. Comes in a protective capsule mounted in a velvet presentation case along with a certificate of authenticity. Proof coins are bought and sold with much higher premiums than bullion coins since they carry both collectible and bullion coin value. They may not always move in tandem with spot or bullion coin prices. 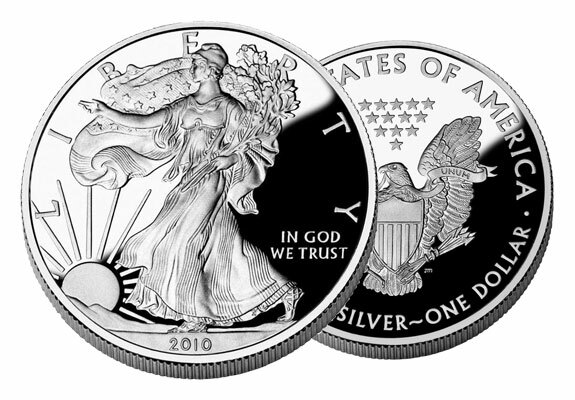 The American Silver Eagle is the official silver bullion coin of the United States, guaranteed to contain one troy ounce of 99.99% pure silver. Its contents and weight are certified by the U.S. Mint. A favorite of both bullion investors and coin collectors, it is easy to purchase and liquidate as needed. 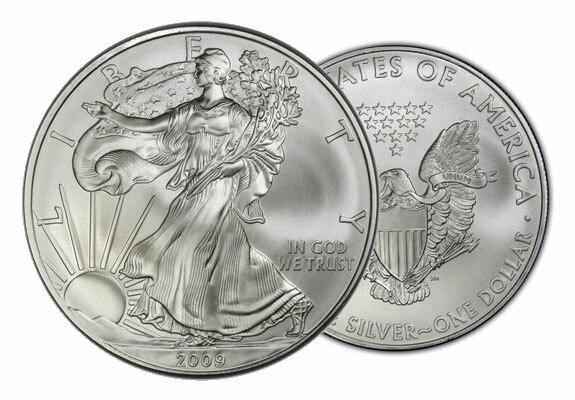 Proof version of the American Silver Eagle, available only in 1-oz. denominations. Contains 99.99% pure silver. 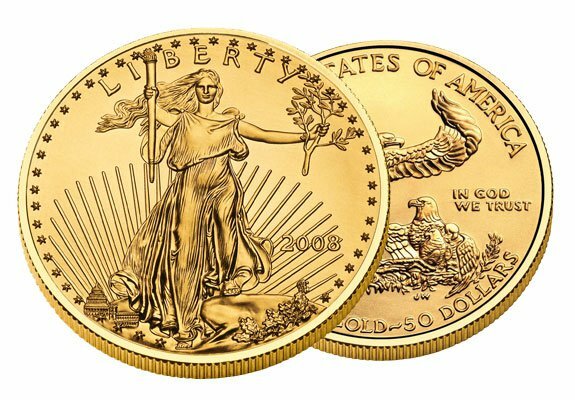 Like the Proof Gold American Eagle, each coin comes mounted in a presentation case with a certificate of authenticity guaranteeing the coin’s silver content, weight, and purity. If you have additional questions about what may be included in a Gold IRA, call us today at 1-800-326-9598 and speak with a precious metals specialist.